Encourage your customers to try on your top market headphones and watch your sales skyrocket. 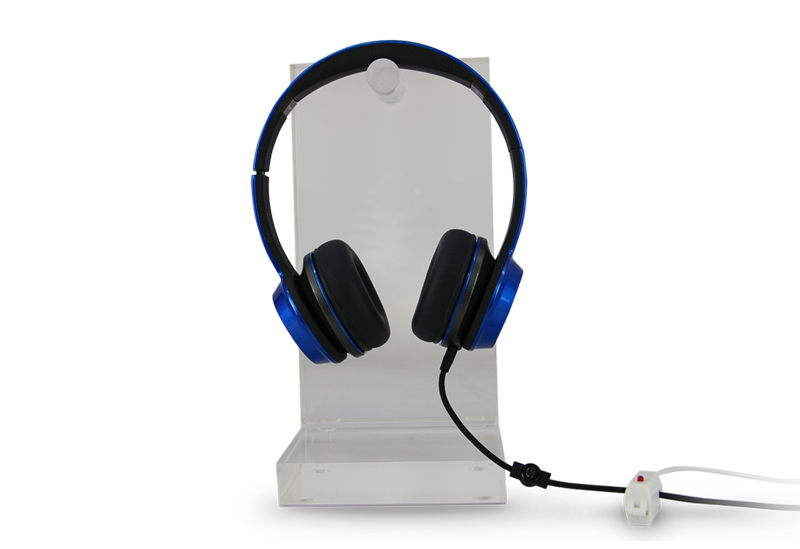 The VPG Headphone Sensor gives your customers the freedom to fully interact with the product. The sensor was designed to be easily adjusted to fit around any headphone cord or wire. This versatile solution gives you the flexibility to remerchandise to other cabled accessories with ease.